Some people may think bankers are the boring sort, but one Brazilian bank worker made a lasting impression on his last day at work. Maybe this worker was secretly a superhero all along, or someone wanted to have some fun in a professional work environment. Everyone’s “Spidey sense” started tingling once Spider-Man reported for work. Imgur user ksguile made a viral post about an anonymous bank worker in Sao Paulo, Brazil. After the worker decided to resign, he wanted to do something different to mark the occasion. Unfortunately, no customers at the bank were able to get a shot of Spider-Man, as he was hiding out in the analysis department. 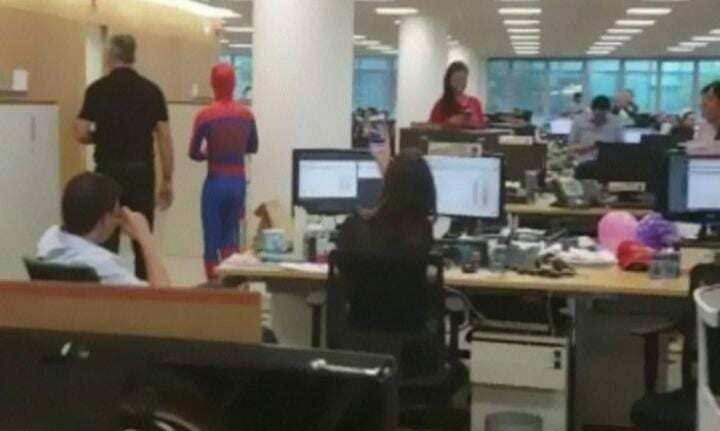 Fellow employees at the bank enjoyed a good chuckle, as Spider-Man hung out around the office, or took calls. 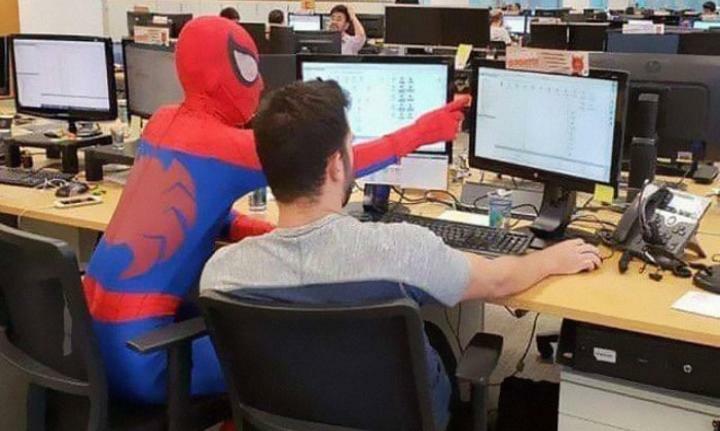 The anonymous Spider-man might have incited some ire from the boss for his antics, but the masked hero didn’t care since it was his last day. Spider-Man captured the heart of the Internet and social media platforms, as posts on Instagram received tons of comments. 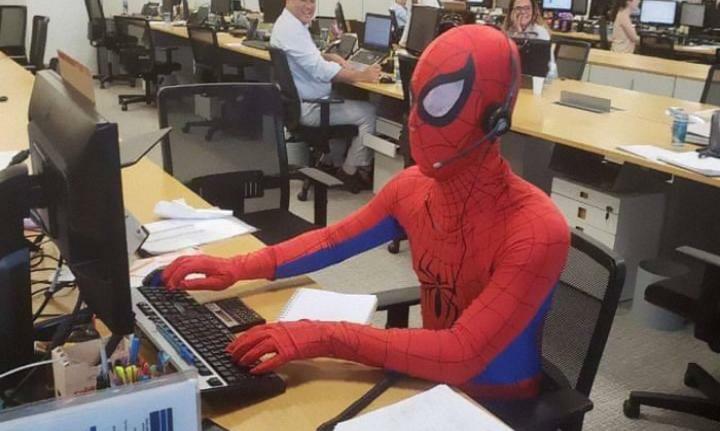 One of the best comments was from user Calicoastin818, “Dress for the job you want not the one you have.” Another gem was from copingcabana, stating that “He got a new job as a web designer.” Honestly, no one can be too upset when there’s a Marvel character around. Before the banker’s last day was over, Brazilian Spider-Man had one more trick up his sleeve before leaving. Spider-Man made sure to visit everyone around the office to hand out candies. There’s nothing better than a co-worker who makes the most of their last day at work. It also pays dividends in social currency when a workmate shows generosity and good humor so that they will be positively remembered. Everyone might not have been overly thrilled about Spidey dropping in for the day, but it won’t be forgotten anytime soon.